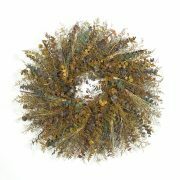 This beautiful Autumn wreath is loaded with all the best nature has to offer. Including autumn colored leaves, mums, asters, and Chinese Lantern flowers. 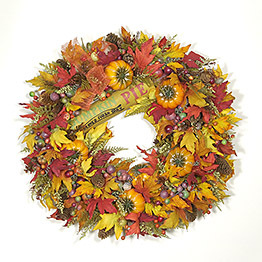 Accented by pumpkins, gourds, and berries, as well as a plaid ribbon and bow. 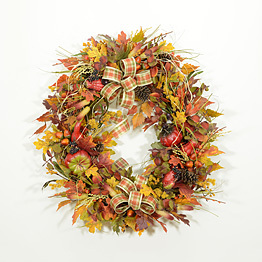 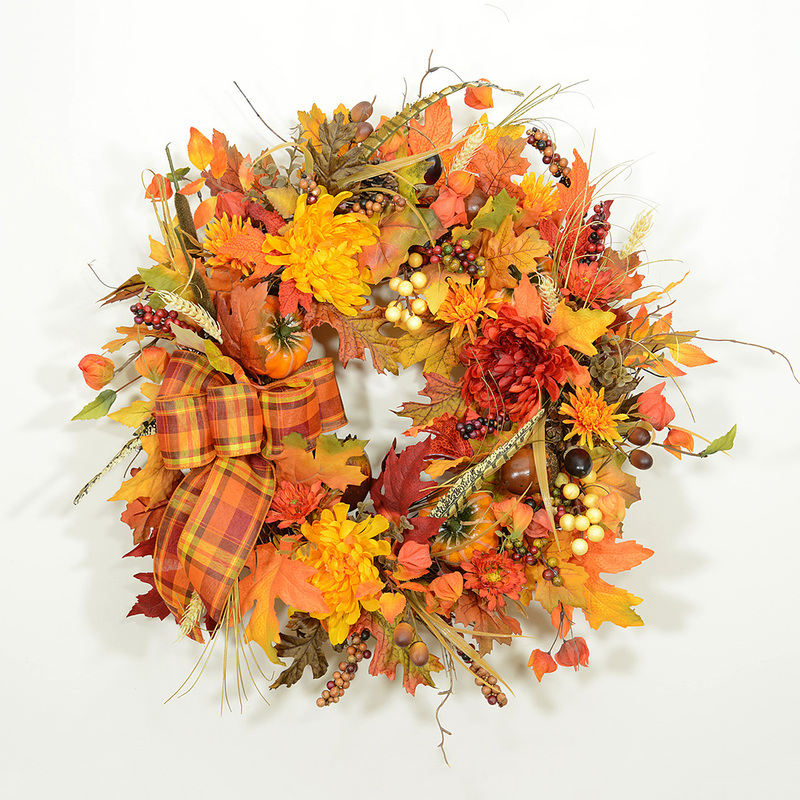 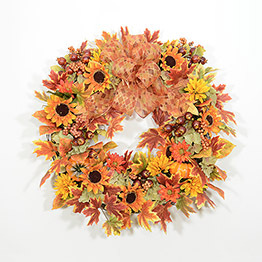 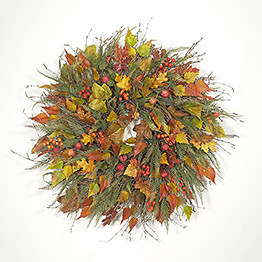 This fall wreath is perfect for creating the ambiance of fall indoors.